We use our cell phones so much that if we accidentally misplace them, it can set us on a wild goose chase. 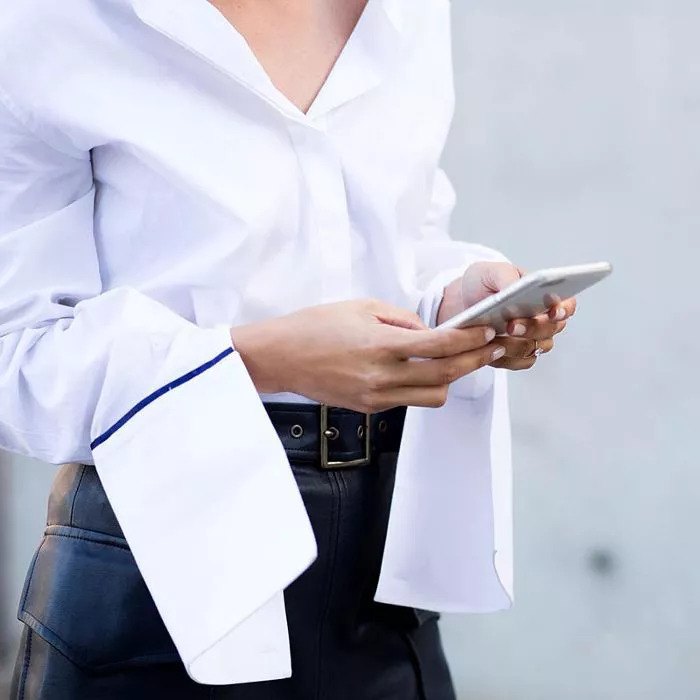 It’s safe to say we’re sort of obsessed with our phones—and finding out the best way to organize our iPhone apps can make using our phones a heck of a lot easier. It’s actually an interesting concept seeing as we organize most other things in our life: the food supplies in , the clothes in our closet, and the papers on our desk. If you get so frustrated while trying to find an app that you tend to just search for it by name, then know a little tech organization will do you some good. Below, we’ve rounded up five of our favorite tips to find the best way to organize iPhone apps for you. Since there’s no one-size-fits-all approach, give these tech hacks a try and see which one you prefer. This may be the simplest way to approach it, but alphabetization is never a bad thing. If you’re all about organizing from A to Z, then this may be the best way to organize your iPhone apps. Plus, if the library uses this technique to categorize thousands of books, then we’re pretty sure it will work for your phone, too. PS: If you don’t know how to move an app on your screen, all you need to do is tap and hold down on it with your finger for a few seconds. Once it starts “shaking,” you can slide it where you’d like with your finger. If you’re the type who enjoys color-coordinating their bookshelves after a few glasses of wine, then organizing your apps by color may suit you. You like to use color to create a sense of order in your life, so why not extend this to your tech life as well? This means Safari, Venmo, and Via will be neighbors and so will FaceTime, Phone, and Messages (that is, if you have all these apps). Are you the type of person who likes to price out trips on different ride-sharing apps all at once, or prefers all of your music in one place? Then, simply place similarly functioning apps next to one another for easy comparison. Do you know how there’s a favorites spot on your phone for the people you call the most? It’s basically the modern-day version of speed dial. Take a cue and arrange your apps based on how frequently you use them. This avoids constant swiping over to the next screen, since all your app MVPs will have a spot on your home screen. Creating folders will greatly reduce clutter, no matter whether you name them or categorize them with emojis. Simply go to your home screen, tap on an app you want to put in a folder, and then drag it on top of another app you want in the same folder. Your phone will automatically recognize that you are linking the two and will give it a name. Click on the folder name and change it if it’s not what you want it to be—for example, all your money apps can be in the Money folder. You can use the same method when naming a folder with an emoji (just make sure you access your emoji keyboard first). What do you think is the best way to organize your iPhone apps? Up next: the dos and don’ts of .